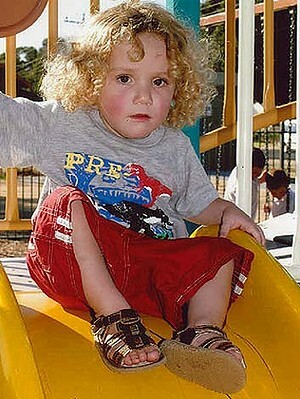 My heart sank when I heard a two-year-old boy had been mauled to death by his cousin’s dog. The bull mastiff lived at his grandmother’s house in NSW where the attack occured. 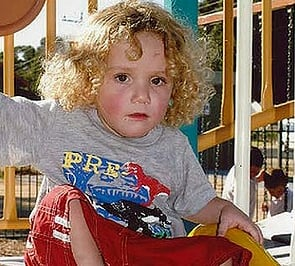 His mum and grandmother tried desperately to save him but his injuries were too severe. Deeon Higgins died in hospital shortly after the attack. His grandmother had fought to free the boy for 15 minutes before his mother arrived home and successfully rescued her son, but it was too late. The dog was a mastiff cross named Kingston and this violent behaviour was unusual. He’d never bitten anyone before and wasn’t considered dangerous. He has since been destroyed. My heart breaks for that little boy and his family. And it&apos;s a sharp reminder: dog and toddlers don’t mix. Before you start arguing with me, read this first. I used to be the proud owner of two rottweilers. My husband and I bought them before we started having children. When I fell pregnant we did a lot of research on how to properly introduce the baby to the dogs and how to train the dogs to live with a baby. We got them used to being locked outside, we were stricter with obedience, we weaned them off sleeping on the bed and the furniture and we fed them outside only. Before we brought our baby home, we brought home blankets he had been wrapped in and left them where the dogs could smell them, so they became used to his scent. Then on the day he came home, I went in first for a proper greeting from them and then I walked in with the baby. The dogs sniffed his legs, licked my hand, and walked outside to sunbake. There were some issues but most were just inconveniences. When I changed his nappy the female would try to get to the nappies. We read that it was her job to clean up when puppies were made a mess so that’s just what she was trying to do. The biggest issue was that the dogs were so protective. Too protective. If anyone came near baby Philip our female would throw herself in between the person or dog and the baby and snarl. Good, right? Yes, except when that other person was a child. Now here&apos;s the big reason why I don&apos;t think dogs and toddlers mix: dogs have to learn who their masters are. When dogs are faced with toddlers who are the same size as them they either see them as equals or threats. Both of these are bad. If a dog sees a child as an equal it can push them around and nip at them to make it clear they are above them in the family pecking order. This is what they do with their brothers and sisters from birth. If they see them as a threat, they want them gone. My husband eventually completely relaxed when it came to our children and our very large dogs but I remained strict and vigilant. It wasn’t until a terrible incident in our own home that my husband saw sense. We had friends coming over for lunch with their toddler children. My husband and I argued. I wanted to lock the dogs outside but my husband argued that the dogs were used to toddlers. I locked them out anyway and my husband was annoyed. Our friends arrived and we sat down for lunch. Our friend’s little girl started wandering around. She walked up to the glass sliding door that was separating our dogs from the children. One of our dogs, who had never been anything other than loving and playful, walked up to the other side of the glass door. He and the little girl locked eyes. My husband and I looked up and Baxter began attacking the glass so ferociously our blood ran cold. My husband and I made eye contact. I quietly got up and picked up the little girl and my husband checked to make sure the back door was secure. If the dog sees the child as a threat, they’ll do more than nip at them, which is why I felt compelled to speak out about dogs and toddlers today. And if a child makes direct and prolonged eye contact with a dog, the dog sees that as a challenge. How do you teach a toddler not to do this? Children are most commonly attacked by dogs in their own home or in the home of a friend or relative. Public attacks are a rare. I have a friend whose little boy was bitten by a dog owned by his aunty and uncle. He’d been around the dog since he was a baby and the dog had never bitten anyone before. One day the dog bit him on the face, hard. He only bit him once but he severed some nerves in the little boys face and he needed surgery. The little boy became sad, frightened and withdrawn. The family relationship became strained. This is what I constantly tried to explain to a family member who owns two bulldogs. I was never comfortable with her larger dog who was the same height as my son. This dog had also violently fought and killed another dog in their home. If my son made the mistake of making direct and prolonged eye contact with the dog, there would be trouble. Why was I the only adult worried about the dog being around my children? Why was I treated like I was being silly by insisting the dogs be locked outside first before we came in? My family member assured me nothing would ever happen. How did she know? For me to prove her wrong I’d have to let something happen. Instead I remained stubborn. Whenever we greeted the dogs I’d be holding my son up high, making it clear he was above them in the pecking order. And I never left them alone with them. Dogs are great family pets but they are best when your children are older and taller than them. There are also certain breeds that are more protective of their homes and families. You don’t want dogs with strong protective instincts around children. For more information about the best breeds for families click here. And just because dogs are well-behaved around your own children, doesn’t mean they will be around the children of friends and family. Obedience training is essential and I wish it was compulsory for all medium to large sized dogs. 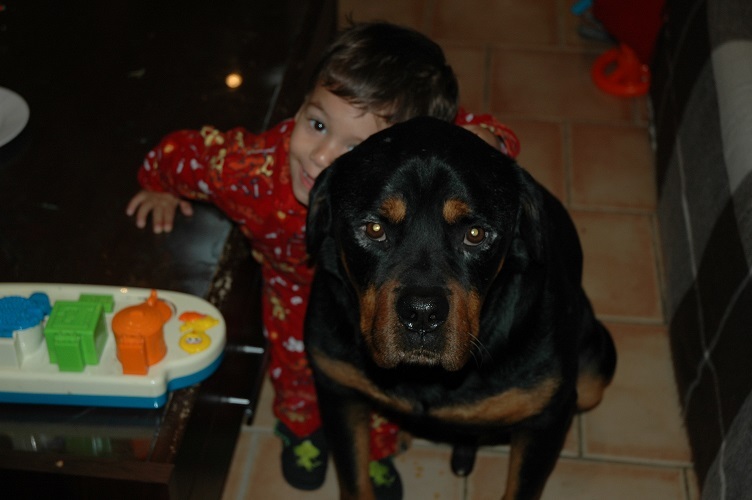 Our Rottweilers passed away a few years ago and it was like losing two members of the family. We didn’t know large breeds often die young. However I&apos;m also incredibly relieved I no longer have to worry about how they will behave when children come to visit. We have 9 children in our family now aged from newborns all the way to 10. There is no place for dogs in our family right now. When the youngest is 10 or over we might consider it. You can never be too careful when it comes to animals and children. That&apos;s all I&apos;m saying. Do you have a dog? What steps have you taken to train your dog to behave around children?